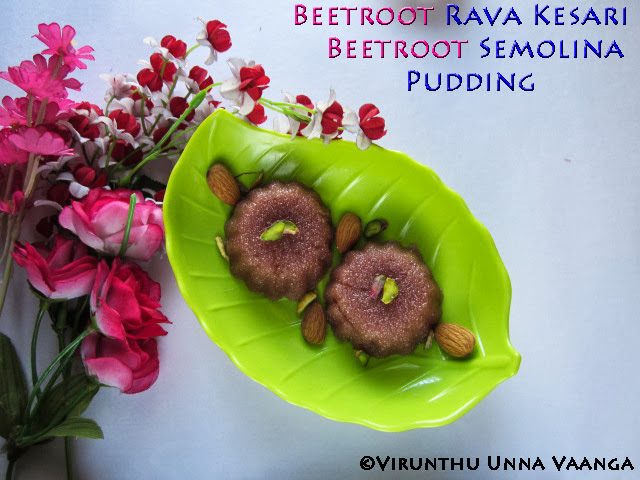 VIRUNTHU UNNA VAANGA: BEETROOT RAVA KESARI I BEETROOT SEMOLINA PUDDING - A GUEST POST FOR NALINI SURESH!!! 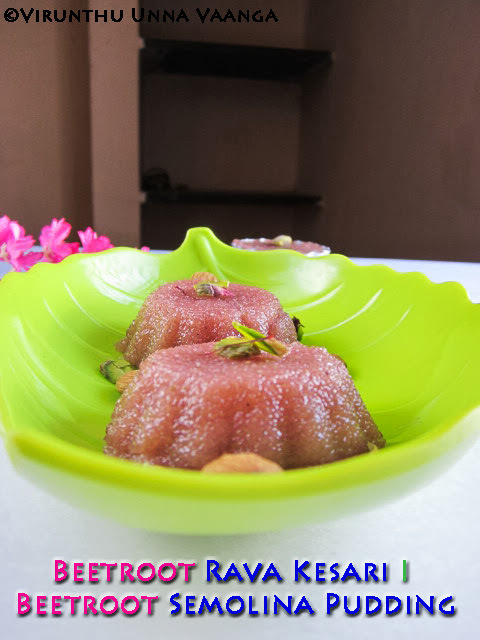 BEETROOT RAVA KESARI I BEETROOT SEMOLINA PUDDING - A GUEST POST FOR NALINI SURESH!!! 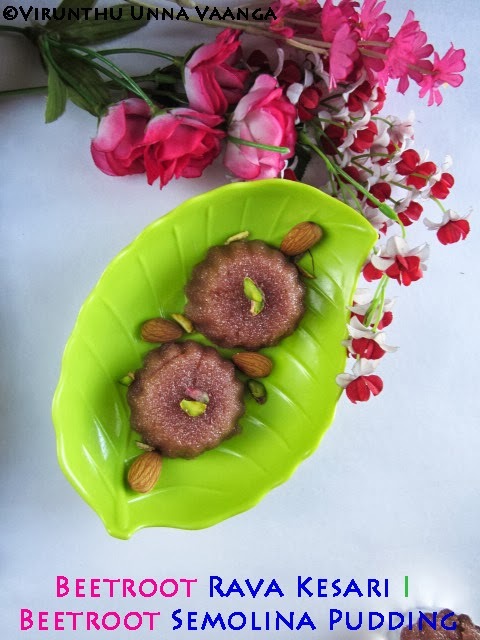 Hello dear friends, this is 4th guest post from me for one of my lovely friend aka akka Nalini Suresh from NALINI'S KITCHEN. We don't know each other before 5-6 months; we introduced through Sangee akka from Spicy Treats in FB chat. Thanks sangee akka. 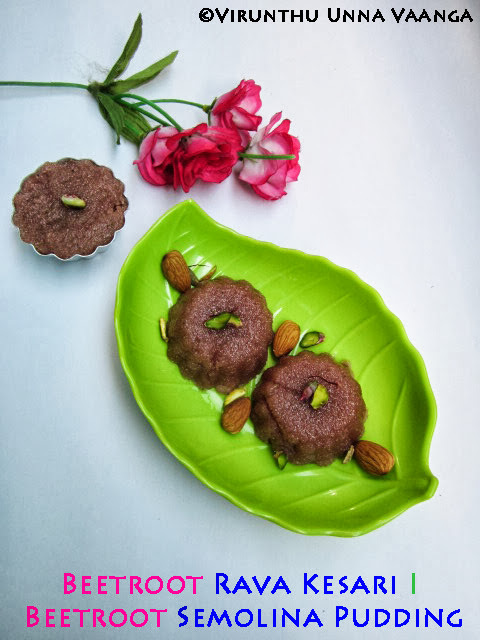 Even I didn't know her space before we introduce each other, when I visited her space only, I realised that how come I missed the great collections of our traditional recipes with beautiful explanation and attractive pictures of her creative. I am really blessed and proud to have such a lovely friends through the blogosphere. We chatted in FB then we talked over the phone. When she visited India recently, I couldn't get chance to meet. L She is lovable wife, cute mom of 2 kids, very humble, down-to-earth, loving, caring nature and humorous person. 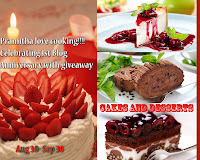 I readily accepted her guest post immediately when she asked me, but I took some time to present the post, am so sorry akka for the delay. When I asked her, “What type of recipe you want?” she funnily replied that she needs “Dindigul NV Biryani” ;) (But I posted my mom preparation) as she knew that I won't cook NV recipe… This is example of her humour attitude. Then she said that anything which you like. 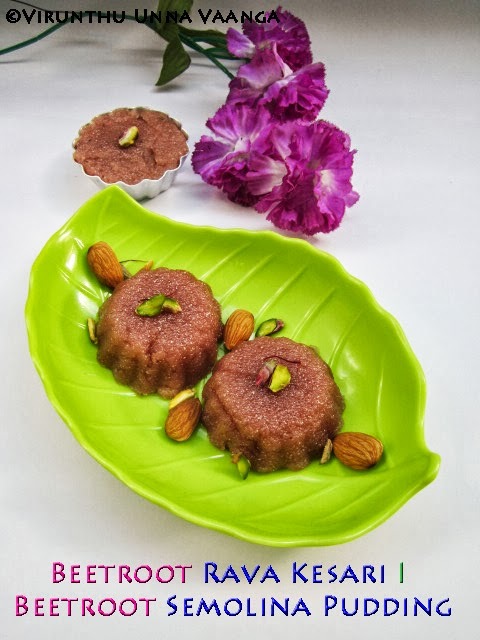 plz move on to NALINI'S KITCHEN for the recipe and more clicks!!! 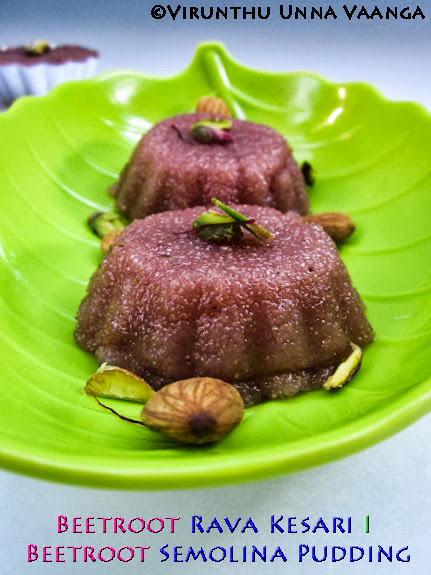 Beetroot kesari has got a beautiful color and looks wonderful.. Will hop on to Nalini's space for the recipe. 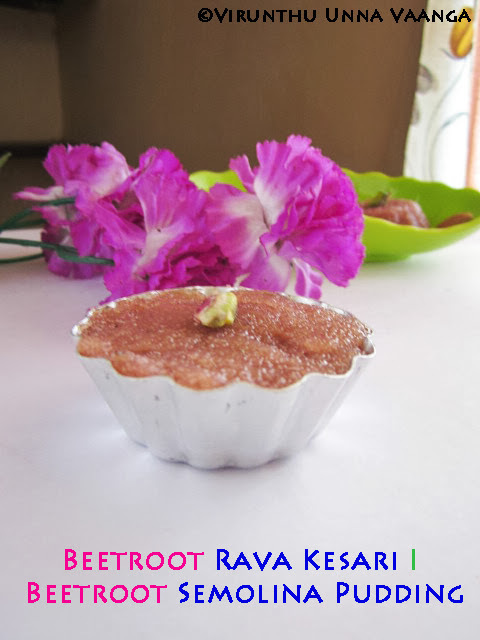 Very delightful and droolworthy kesari..Beets gives an incredible colour na, heading to Nalini's space. nice clicks and composition da.. Sounds like an interesting combination, lovely presentation.